A high-level technical team from the Government of Sierra Leone, headed by the Principal Deputy Financial Secretary in the Ministry of Finance, Mr Matthew Dingie, is now in Tbilisi, Georgia on a due diligence visit to support the procurement and installation of electronic cash registers by the National Revenue Authority. As a commitment made by HE the President Rtd. Brig. Julius Maada Bio to increase the domestic revenue to GDP ratio from the current average 12% to 20% by 2023, His Excellency the President mandated the Minister of Finance Mr Jacob Jusu Saffa, to initiate reforms that will ensure the achievement of this economic policy pronouncement. The Minister with strong support from the Financial Secretary, Mr Sahr Lahai Jusu has been working very hard to get the policy reforms rolled out. Implementation of the treasury single accounts system, Introduction of the Integrated Tax Administration System (ITAS) – contract already signed with support from the world bank, ASYCUDA World – an upgrade to the current ASYCUDA system to web based application which will enable remote access to the system by importers to process their declarations on-line. This is supported by UNTARD and the World Bank and The introduction of the electronic cash registers and fiscal printers – this will support comprehensive assessment and collection of Goods and Services Taxes country wide. The team that is at present in Tbilisi, Georgia is headed by the astute PDFS, Mr Matthew Dingie, and includes the Director of Innovation and Technology, office of the President, Dr David Moinina Sengeh, the Director of Revenue and Tax Policy, Ministry of Finance, Mr Idrissa Kanu and a senior staff in the Domestic Tax Department of the NRA, Mr Mustapha Fofanah. The team is conducting a due diligence assessment on one of the bidders, Daisy Technologies, a company incorporated in Bulgaria but providing 90% of the market share of the ECR system to the Government of Georgia. This company submitted Expression of Interest to supply the devices and system to the National Revenue Authority. A similar exercise is simultaneously being carried out on two other companies providing this service in Zambia and Rwanda. At the end of these missions, the Commissioner General, Dr Samuel Jibao through his Procurement Unit will invite Technical and financial proposals from these companies, which would be evaluated, and after obtaining the necessary clearance from the National Public Procurement Authority, will award the contract to the most responsive bidder. Given the high priority that Government places on domestic revenue mobilization, it is expected that the contract would be awarded and signed by end of January 2019 and effective implementation will start by the second quarter of 2019. In the interim, the necessary revisions to the GST Act of 2010 to support the use of the Electronic Cash Registers will be submitted to Parliament in due course to meet the target implementation date of start of the second quarter of 2019. This contract will be 100% funded by the Government of Sierra Leone through the Ministry of Finance and the NRA. Development Partners would however be supporting the NRA in implementing other components of this project. 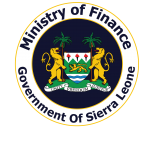 This and other revenue reforms mentioned above, in addition to the National switch project that will be Implemented by the Bank of SIERRA Leone in 2019 will lay a solid foundation for achieving the 20% of GDP of domestic revenue collection over the medium term which would support predictable implementation of Government Programmes under the New Direction. The Hon Minister, Mr Jacob Jusu Saffa and the Financial Secretary, Mr S L Jusu, have placed high confidence on the PDFS, Mr Matthew Dingie to lead a team of technical staffs across Government to ensure effective and smooth implementation of these automated revenue reforms alongside other expenditure reforms that are on-going in the Ministry. 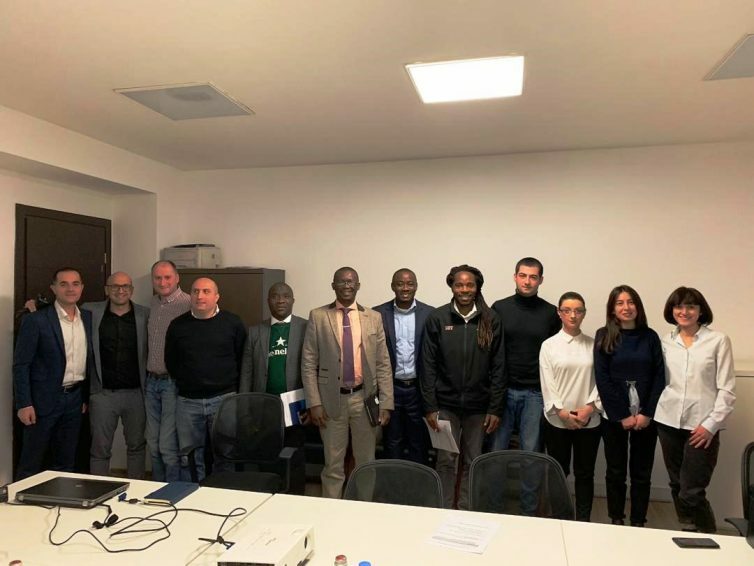 The PDFS was in London last week on a similar drive to work with staffs of the Petroleum Directorate for the conduct of surveys leading to acquisition of data to support oil exploration in Sierra Leone.